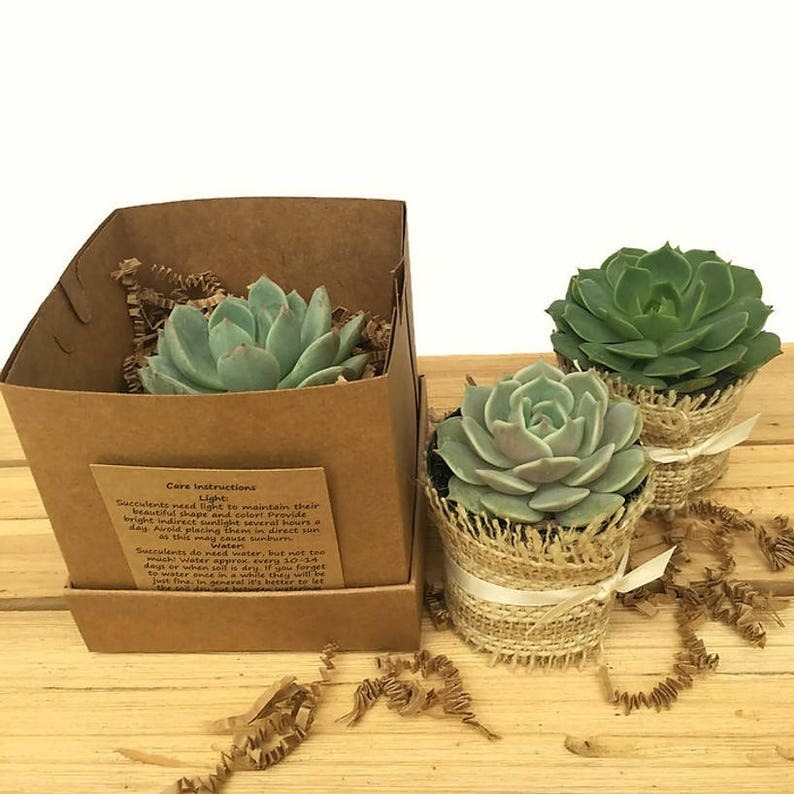 - 1 assembled ivory or Kraft gift box (size of each box is 4"x4"x4") with 1 well-established, high quality rooted succulent (Echeveria) in 2.5" nursery container. The container is wrapped natural burlap and tied with ribbon (ribbon color of your choice). - Gift box is wrapped with satin ribbon (color of your choice, please indicate color in the note to seller section at checkout) and includes a small gift card (standard: blank card to write your own message). - a little card with care instructions.